It’s days like this when I feel at a loss for words. Someone who obviously needed psychiatric help opens fire in a crowded theatre. People who were enjoying themselves, excited about a movie premiere find themselves in a horrifying situation. Some lived to tell the tale. Others will never speak again, their lives cut short. It is all so senseless. 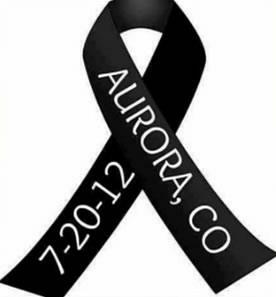 Let us remember the victims and the loved ones who now must figure out how to deal with their loss. And, let’s share a thought for the family of the shooter. I am sure they must be torn up inside. How could you ever come to terms with the fact that your son, nephew, or grandson committed this heinous act?